Some people are under the misconception that orthodontic treatment is merely a cosmetic treatment and is really not necessary for oral wellness. But, what these individuals don’t understand is that misaligned teeth can cause big health problems that impact chewing, swallowing, nutrition, and speech. Misaligned teeth also expose you to more risk for tooth decay, TMJ jaw-pain and chronic headaches from malocclusion. Find out if you are doing all you can to safeguard your total body wellness with a free orthodontic consultation at Belmar Orthodontics in Lakewood today. The first, crucial step of the digestion process is chewing your food. The majority of people neglect this essential step, barely chewing their food before they swallow. The process of chewing converts large pieces of food into smaller particles that are more easily digested. This also makes it easier for your intestines to absorb nutrients from the food particles as they pass through your system. Food that can’t be chewed up properly doesn’t digest as well in your stomach and your body has to use more energy to absorb the nutrients in that half-chewed food. Beyond this, food that you can’t chew properly because of misaligned teeth or jaws creates a choking hazard when you eat. Do you find yourself biting your cheek when you are chewing, speaking or swallowing? Do your teeth ever collide when you chew or close your mouth sending jarring sensations throughout your jaw and face? Teeth can be chipped or injured when they collide. Jaws that are repeatedly sustaining irregular forces suffer and can cause you long-term problems. Orthodontic treatment addresses these issues and provides you with the results you need to safeguard your smile and long-term health. These issues will not resolve on their own; you need help from a specialist to get things working right. Dr. Hardy are here to help show you how accessible the orthodontic treatment can be and help you on your way to better oral health. Teeth that are overcrowded are much harder to clean. Plaque is able to accumulate because food gets trapped in between your teeth and starts to eat away at the enamel causing cavities to form. Cavities in between your teeth are harder to see and treat, often only detected after they have become big problems. A weakened, decaying tooth can also affect the adjacent teeth causing a ripple effect of problems throughout your mouth. Plaque build-up also affects the health of your gums and can lead to gum disease. 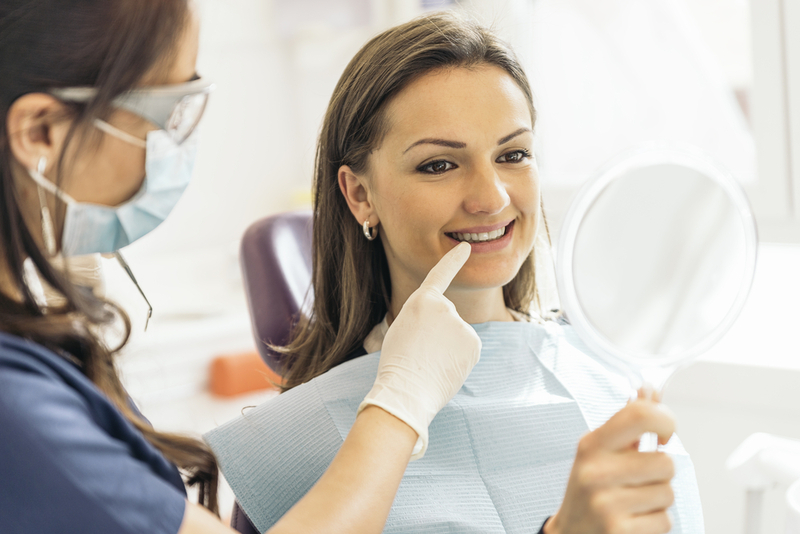 By addressing the overcrowding issues, you make it harder for plaque and cavities to form in between your teeth and preserve the health of your gums and mouth. Your smile is the first thing people see when they meet you. So much is communicated through your smile–your energy, your confidence, even your dedication to taking care of yourself. Taking the time to address orthodontic issues will eliminate any fears or insecurities you have been living with, freeing you to share your smile with everyone you come in contact with. If you are considering orthodontic treatment, but aren’t sure if you need it, call for a consultation today. We can evaluate your need for orthodontics as well as discuss your options for orthodontics today. Life with braces brings exciting changes, and sometimes some challenging adjustments too, but the end result is a healthier you! Belmar Orthodontics can help you obtain a healthy, functional, attractive smile. If you think you need braces, our online patient education can help answer any questions you may have, and our friendly staff is always available to help. Call 303.225.9016 today to learn more about braces or to schedule an appointment. Dr. Hardy is committed to your care and will help you reach your smile goals as quickly and efficiently as possible if you need braces.